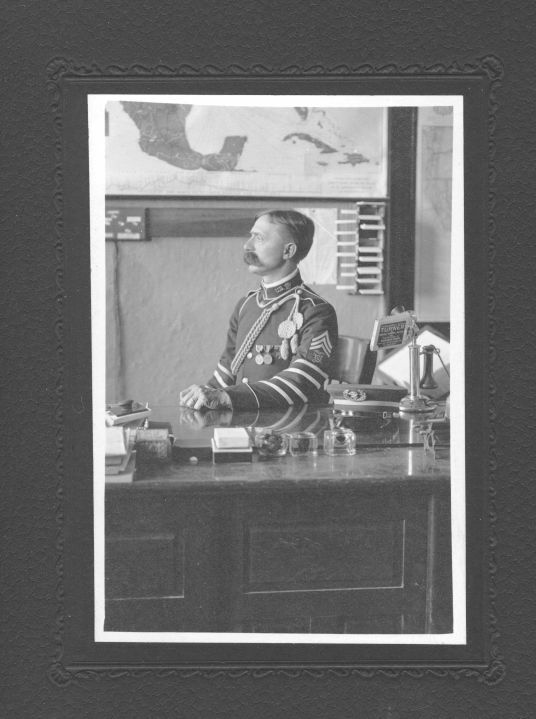 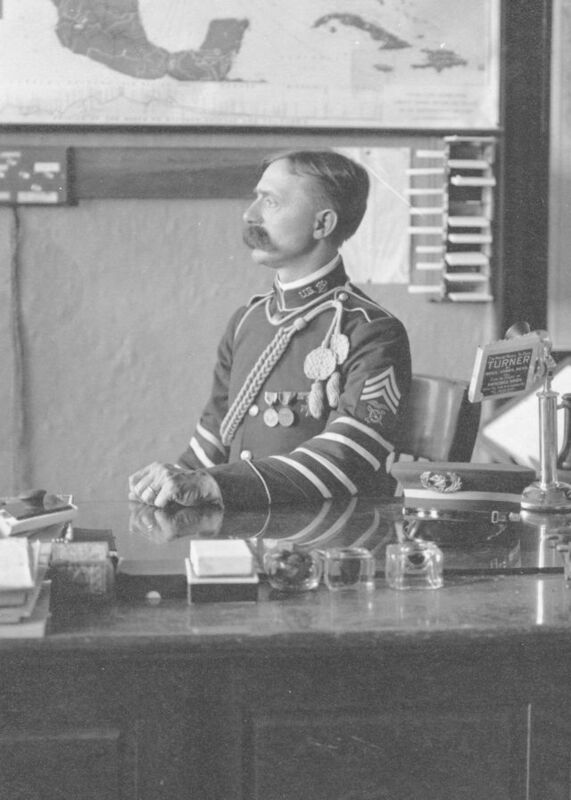 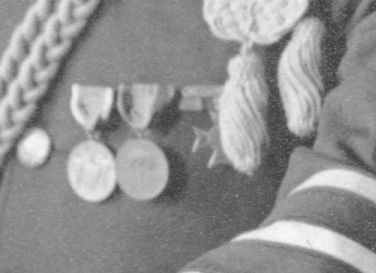 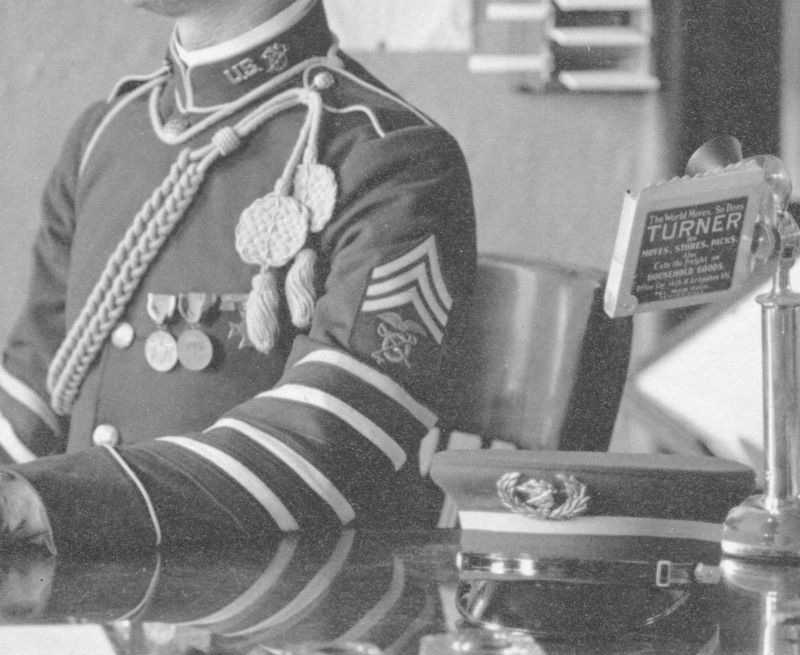 Post Quartermaster Sergeant, Quartermaster Corps, c. 1910. 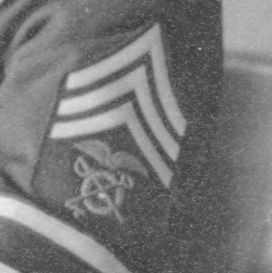 The distinctive color for the Quatermaster Corps was buff. 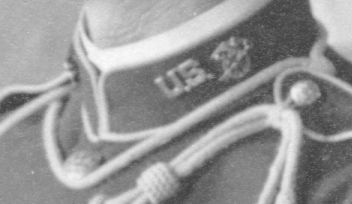 This included the cords, piping, and rank chevrons over the insignia composed of eagle, wheel, and crossed sword and key.